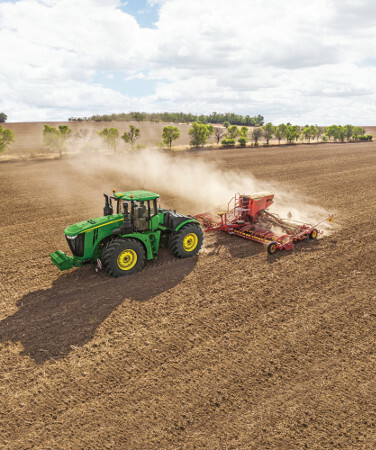 The John Deere 9R Series tractors give you a horsepower increase of 50 hp (37 kW) across the range of models, all the way up to 670 hp (429 kW). 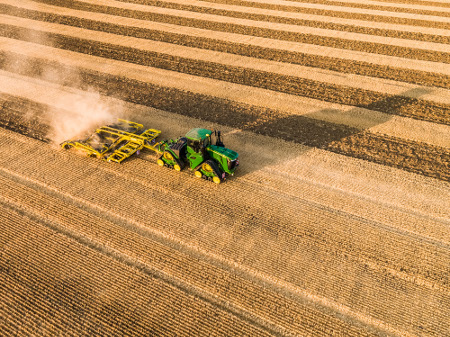 9R tractors are designed to tackle the toughest challenges in contemporary agriculture: improving your productivity, reducing costs and mitigating risks. 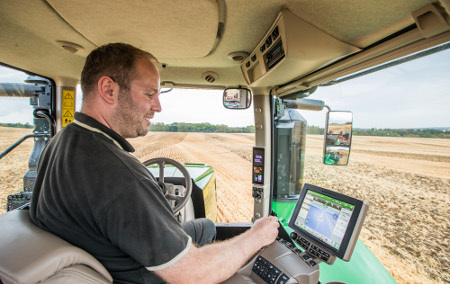 Getting the right equipment at the right time to the right place is key to maximising efficiency and timeliness of multi-machine operations. 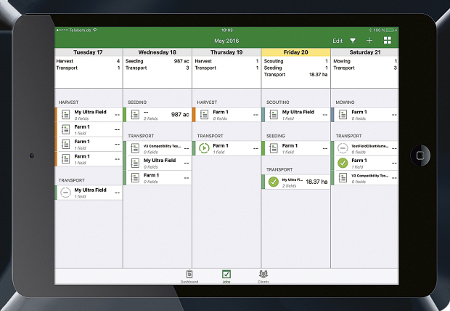 MyJobConnect Premium extends MyJobConnect to a true mixed fleet logistics solution. 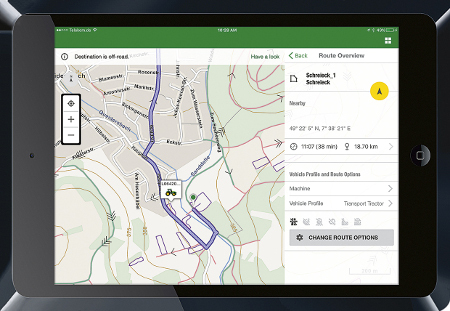 It features fleet overview and turn-by-turn navigation based on a comprehensive field road database, including estimated arrival times for vehicles at the predefined destination. 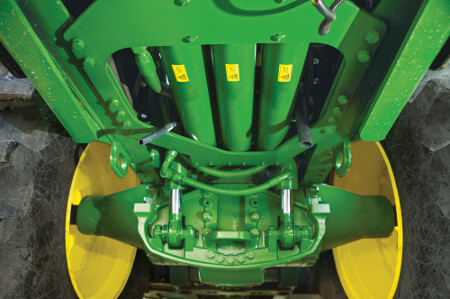 The 9R is a smart choice if you are looking for flexibility. 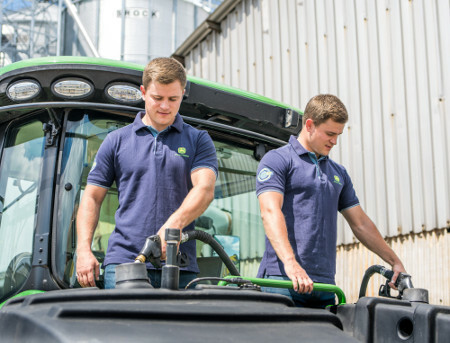 With a broad range of ballasting and wheel options, it does an excellent job throughout the year on multiple applications and in virtually any conditions. 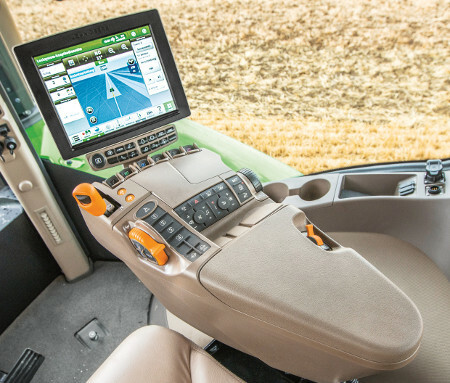 Superb engineering design means the roomiest cab on the market on a narrow-gauge wheeled tractor. 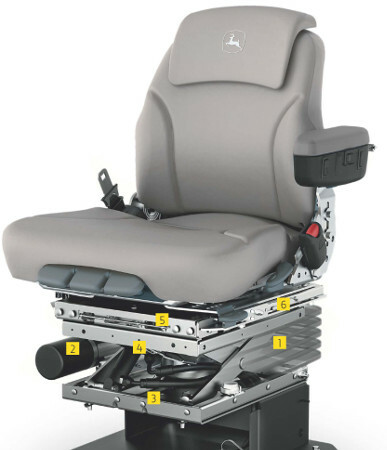 The ActiveSeat utilises electro-hydraulic technology in combination with air suspension. 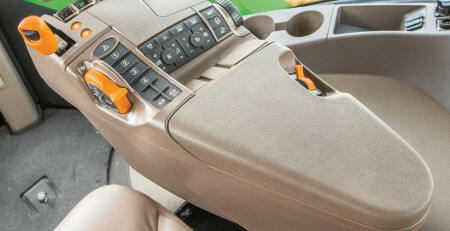 ActiveSeat isolates up to 90 percent of vertical movement and provides the operator with enhanced ride-quality over standard air suspension seats. 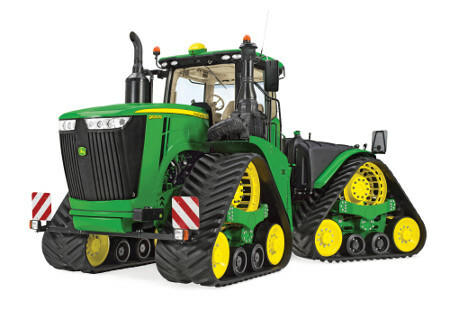 9R Series Tractors offer cast drive wheels with many different tyre sizes and a diameter of 2.05 m (6.7 ft). 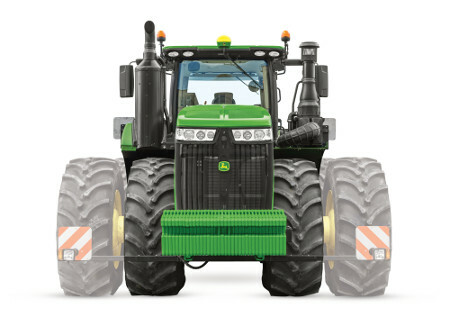 The cast wheels give added strength for greater wheel life, as well as adding weight to the tractor for ballast. 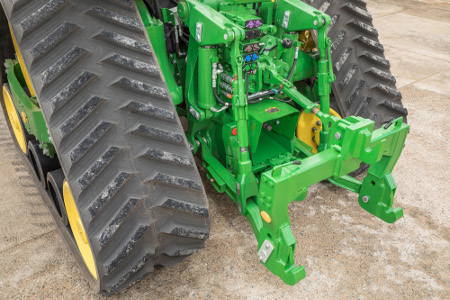 In the dual-wheel configuration, the inside four wheels are cast and the outside four dual wheels are steel, accompanied by a spacer in some configurations. 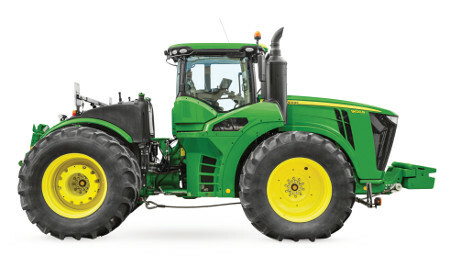 All 9R Wheel Tractors equipped with 120-mm x 3,048-mm (4.72-in. 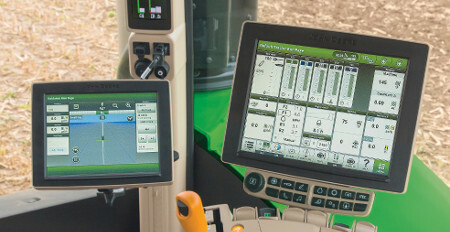 x 120-in.) 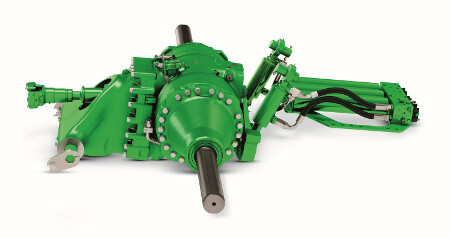 diameter axles use double-tapered hubs. 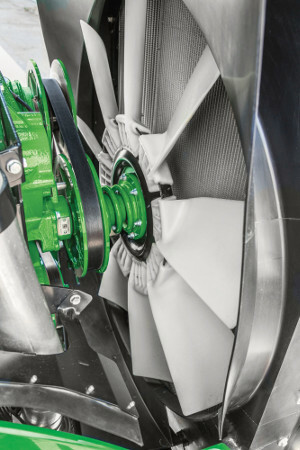 This design doubles the clamping force by using multiple ramp angles on the wedge. 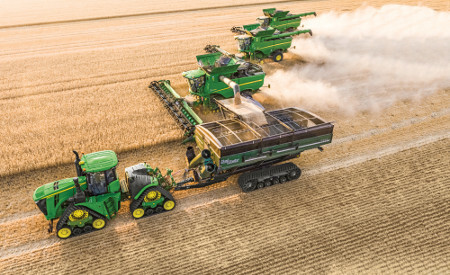 Designed specifically for heavy equipment usage, the John Deere HydraCushion suspension system combines with the four-wheel drive (4WD) axle components to deliver unsurpassed productivity gains. 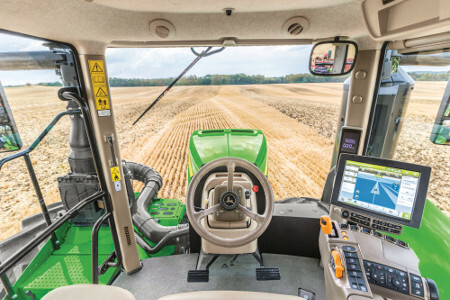 It reduces the possibility of power hop, thereby ensuring that the tractor will put more power to the ground while giving the operator a more comfortable ride. 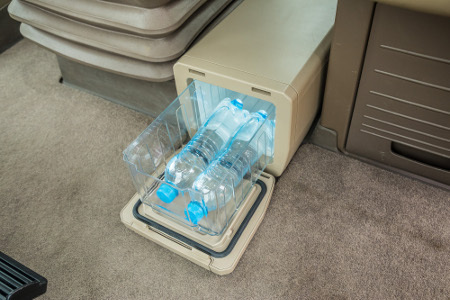 It also significantly reduces physical swaying and bouncing of the machine during road transport. 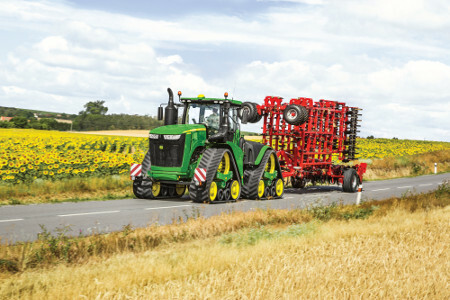 This hydraulically suspended front axle system is available on the 9520R and 9570R, and is standard on the 9620R. 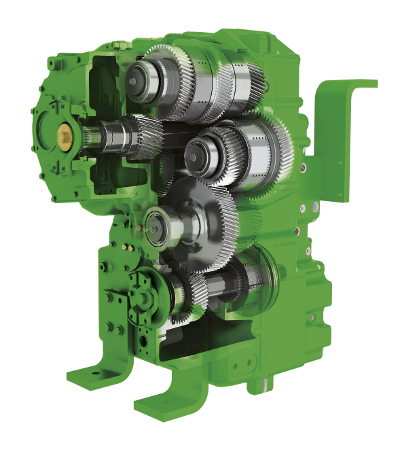 Inboard planetary final drives distribute axle loads evenly to reduce stress on individual gears and shafts. 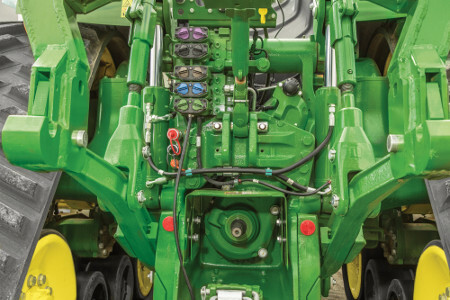 Single-reduction axles operate in an oil bath that provides ample cooling and performance. 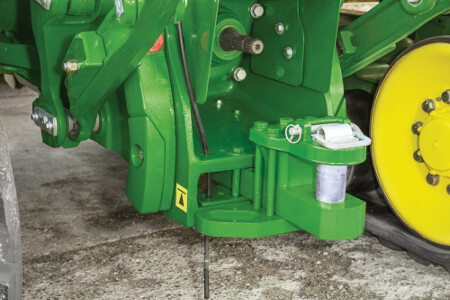 Double-reduction axles feature low sump pressure lubrication, which decreases drag and provides more power to the ground for better durability and reliability. 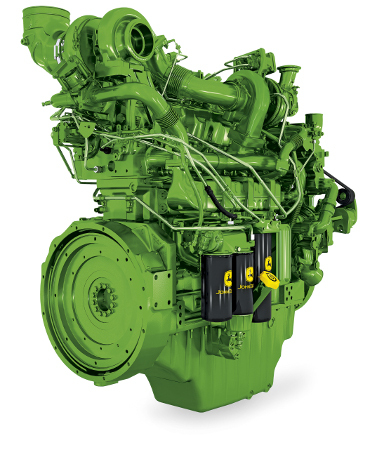 All systems feature pressurised and filtered oil for long component service life, even at higher horsepower and torque. 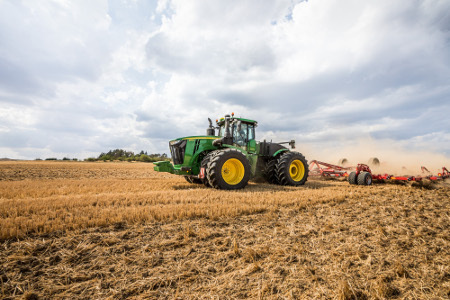 Properly ballasting a 9R Series Tractor by taking into account tyre size, total tractor weight, front/rear axle weight distribution, and weight placement will maximise productivity and fuel efficiency. 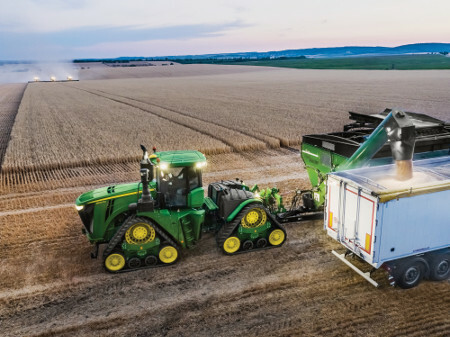 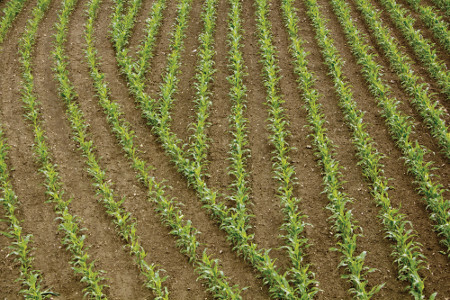 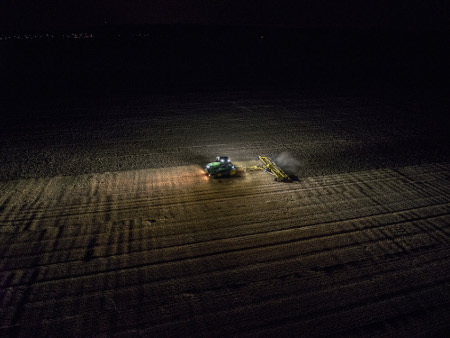 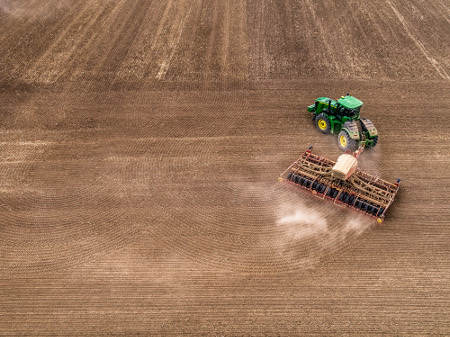 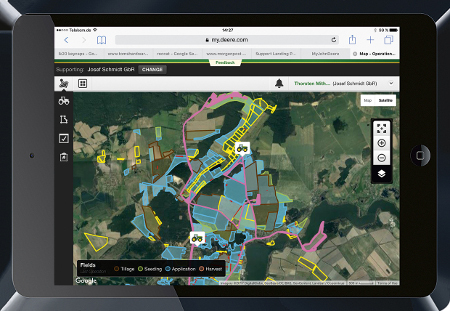 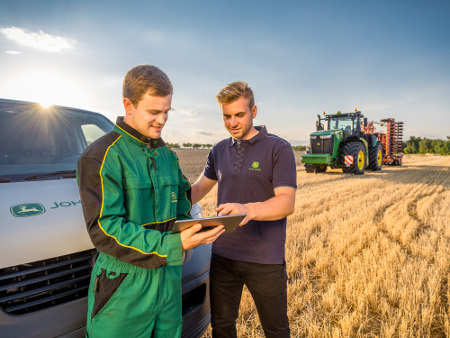 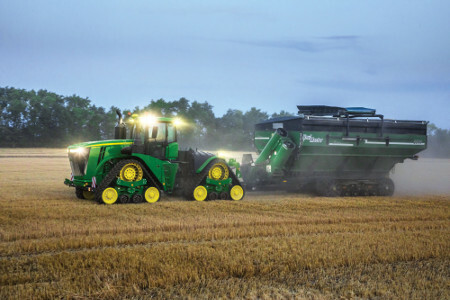 Your John Deere dealer will provide detailed advice on proper ballast management between different applications at the time of purchase and during operational usage, ensuring that the tractor achieves peak performance.